Dr Natasha Hungerford is an organic chemist and has extensive experience in natural products chemistry. She is a Research Fellow in the Natural Toxin group within the Centre for Animal Science, Queensland Alliance for Agricultural and Food Innovation (QAAFI) and is based at the Health and Food Sciences Precinct (Cooper's Plains). She joined QAAFI in 2016 and is utilising analytical techniques such as liquid chromatography-tandem mass spectrometry (LC-MS/MS) to evaluate and minimise risks associated with natural toxins found in certain plants. This research focusses on minimising risks to Australian livestock production and to the consumer of certain food products. Dr. Hungerford achieved her PhD in 1997, through the School of Chemistry and Molecular Biosciences, and subsequently conducted postdoctoral research in natural products chemistry and in synthetic organic chemistry, both overseas and interstate. 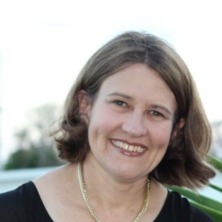 Dr Natasha Hungerford's research interests focus on the identification and analysis of natural toxins present in specific plants, with the aim of minimising risks to Australian livestock and to the consumer of certain food products. In particular, the source and identity of pyrrolizidine alkaloid contamination has been assessed by the extraction and identification of pyrrolizidine alkaloids from various plants. Work to mitigate the Pimelea toxin, simplexin, which causes often fatal cattle poisoning in animals grazing inland areas of Australia, is being undertaken. The level of simplexin is being analysed in in vitro rumen trials to monitor and assess the effects of various strategies to breakdown or remove the toxin in the rumen, including microbial degradation, use of adsorbents or biopolymers. Fletcher, M. T., Hungerford, N. L., Carter, S. J., Anuj, S. R., Martin, C. L., Yin, M., Melsham, K. J. and Were, S. (2017). Pyrrolizidine Alkaloids – Natural Toxins from Flowers to Honey. In: RACI National Centenary Congress, Melbourne / Melbourne Convention Centre, (287-287). 23-26 July 2017. Hungerford, N. L., Martin, C. L., Fletcher, M. T., Carter, S. J., Anuj, S. R., Sharma, E., Yin, M., Melksham, K. J. and Were, S. (2017). Pyrrolizidine Alkaloids – The Risk of Natural Toxins in Queensland Honey. In: Book of poster abstracts. TropAg2017, International Tropical Agriculture Conference, Brisbane / Brisbane Convention Centre, (87-87). 20-22 November 2017. Hungerford, Natasha L., Martin, C. L., Fletcher, M. T., Carter, S. J., Anuj, S. R., Sharma, E., Yin, M., Melksham, K. J. and Were, S. T. (2017). Pyrrolizidine alkaloids – natural toxins risk in Queensland honey. In: 2nd Queensland Annual Chemistry Symposium, Brisbane, QLD, Australia, (36-36). 27 November 2017. Chowdhury, Sadia A., Anuj, Shalona R., Carter, James F., Hungerford, Natasha L. and Fletcher, Mary T. (2018). Authentication of Australian honey (don’t believe the headlines). In: QACS 2018 - Queensland Annual Chemistry Symposium, Brisbane, QLD, Australia, (B6-B6). 23 November 2018. Tinggi, U., Hungerford, N.L., Fletcher, M.T., Farrell, M., Tan, B., Were, S.T. and Webber, D.C. (2018). Elemental analysis of honey products sold in Queensland markets and assessment of nutritional significance. In: ICFA 2018, 2nd International Conference on Food Analysis, Melbourne, VIC, Australia, (). 19-22 November 2018. Matheus Carpinelli de Jesus, Natasha Hungerford, Steve Carter, Shalona Anuj, Joanne Blanchfield, James De Voss and Mary Fletcher (2018). Identifying the pyrrolizidine alkaloid LC-MS/MS profile of Blue heliotrope (Heliotropium amplexicaule). In: QMSS 2018 – 3rd Queensland Mass Spectrometry Symposium, QUT, Brisbane, (). 6-7 December 2018. Ouwerkerk, D., Fletcher, M., Laycock, B., Gilbert, R., Hungerford, N., Gauthier, E., Dixon, R., Silva, L. and Klieve, A. (2018). Improving beef production through management of plant toxins – strategies for the Pimelea problem. In: Beef Australia 2018, Rockhampton, QLD, Australia, (). 7-10 May 2018. Hungerford, N. L., Marting, C. L., Fletcher, M. T., Carter, S. J., Anuj, S. R., Sharma, E., Yin, M., Nguyen, T. T. P., Melksham, K. J. and Were, S. T. (2018). Pyrrolizidine Alkaloids – Natural Toxins Risk in Queensland Honey. In: Proceedings for the 10th International Symposium on Poisonous Plants (ISOPP). 10th International Symposium of Poisonous Plants (ISOPP10), St George, Utah, United States, (22-22). 16-20 September 2018. Melksham, K.M., Hungerford, N.L., Martin, C.L., Fletcher, M.T., Carter, S.J., Anuj, S.R., Tianqi, Z., Zawawi, N., Sharma, E., Yin, M., Nguyen, T.T.P., Were, S.T. and Tan, B. (2018). Pyrrolizidine alkaloids in honey. In: ICFA 2018, 2nd International Conference on Food Analysis, Melbourne, VIC, Australia, (). 19-22 November 2018. Loh, Zhi Hung, Hungerford, Natasha L., Ouwerkerk, Diane, Gilbert, Rosalind A., Klieve, Athol V. and Fletcher, Mary T. (2018). Towards a Microbial Probiotic: LC-MS/MS Analysis of Simulated Rumen Degradation of the Pimelea Toxin Simplexin. In: QMSS 2018 – 3rd Queensland Mass Spectrometry Symposium, QUT, Brisbane, Australia, (). 6-7 December 2018. Sortais, B., Hungerford, N., McLeod, M. D., Ridley, D. D., Smart, C. G., McKinney, A. R., Sillence, M. N. and Munn, K. J. (2004). Synthesis and Analysis of Equine Anabolic Steroid Metabolites. In: 20th Royal Australian Chemical Institute Organic Chemistry Conference. 20th RACI Organic Chemistry Conference, Cairns Convention Centre, Cairns, Australia, (). 4-8 July, 2004. Banwell, M. G., Essers, M., Hungerford, N. and Jolliffe, K.A. (2004). The Synthesis of the Sialic Acid (-)-KDN and Certain Epimers from (-)-3-Dehydroshikimic Acid or (-)-Quinic Acid. In: Royal Australian Chemical Institute NSW Organic Chemistry Group 25th Annual One-Day Symposium, University of New South Wales, NSW Australia, (). November 2004. Banwell, M. G., Hungerford, N. and Jolliffe, K. A. (2002). Chemoenzymatic Approaches to Sialic Acids. In: IUPAC 14th International Conference on Organic Synthesis, Christchurch Convention Centre, Christchurch New Zealand, (). 14-19 July 2002. Hungerford, N., Claridge, T. D. W., Watterson, M. P., Aplin, R. T., Moreno, A. and Fleet, G. W. J. (2001). Tetrahydrofuran amino acids: Secondary structure in tetrameric and octameric w-amino acid carbopeptoids. In: IUPAC World Chemistry Congress, Brisbane Convention & Exhibition Centre, Brisbane, Australia, (). 1-6 July 2001. Moore, C. J., Possner, S., Hayes, P., Paddon-Jones, G. C., Hungerford, N. L. and Kitching, W. (1999). Synthesis of oxygen-heterocycles from a bug and a sponge. In: Scientific Program and Abstracts of 1st Asia-Pacific Conference in Chemical Ecology. 1st Asia-Pacific Conference on Chemical Ecology, Shanghai, China, (100). 1 -4 November 1999. Hungerford, N. and Kitching, W. (1995). Titanium (II) Based Cis-Reduction of Alkynes: Stereo- and Regiospecific Cis-Deuteriation of Methylene-Skipped Ynes. In: RACI 9th Brisbane Organic Chemistry Symposium, The University of Queensland, Brisbane, Queensland, Australia, (). November 1995. Hungerford, Natasha Lynn (1997). Natural products chemistry : structure, synthesis and biosynthesis PhD Thesis, School of Molecular and Microbial Sciences, The University of Queensland.